Summary: The Crew attempted to locate the Marble Ceremony landmark near the Pooh’s Corner rock area. They attempted to utilize one of the hab GPS units to identify the planned EVA coordinates. We took with us one hab GPS unit, as well as one of the small, laminated MDRS, printed maps to find our waypoints. Our objective was to perform a training EVA to familiarize our crew (in two team groups of three) with EVA operations first-hand from a participant perspective. All members brought cameras for photos and video footage to send to Mission Support. All three rovers used were fully functional and tested in the rough paths of the Martian Terrain on Cow Dung Road. We experienced an off-nominal situation with one crewmember during this second EVA of the day. All three of the crew experienced a higher-than-normal amount of helmet fogging while walking. It was realized shortly after parking the rovers on cow dung road that we had overshot the EVA destination and were too far north. While walking back to the rovers, one crewmember experienced helmet fog to the point of having impaired visibility and was unable to drive their rover. After waiting a few minutes for the fogging to clear, the crewmember began to have sweat drip down into the eyes and collect in the glasses. They requested assistance from another crewmember to turn the rover around for them. In the process, the crewmember having the fogging issue experienced a total visual loss when their hat fell from their head and into the front of their helmet, completely blocking their view. When this hat anomaly occurred, the crewmember made the call to be driven back to the hab to receive assistance with the helmet from the HabCom team. All three crewmembers returned on two rovers, dropping the impaired crewmember at the airlock and returning to retrieve the third rover. 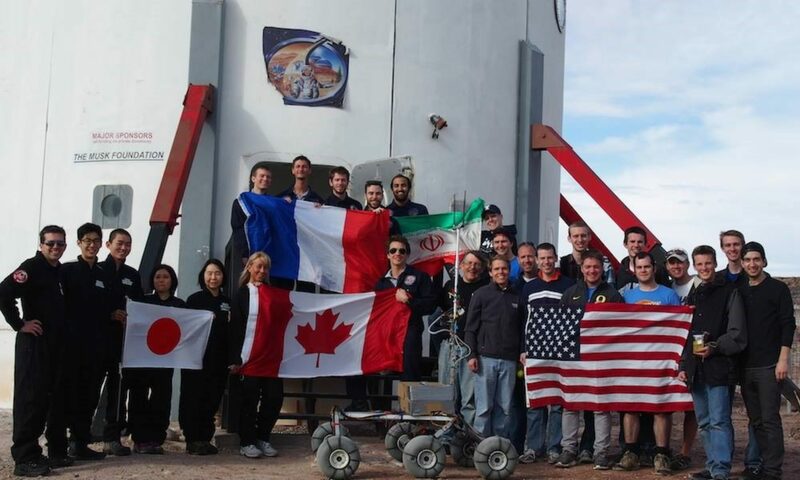 The remaining two crewmembers received permission to resume the EVA and made it out to Pooh’s corner safely and completed the marble ceremony. Despite having to return one crewmember to the hab early, this EVA was highly successful for three reasons. First, it provided a non-life threatening emergency that required immediate assistance for the crew to respond to. There is a long list of reasons why an EVA will terminate early, so we are fortunate that this instance was minor and could be resolved by removing the helmet back at the hab. Secondly, the crew of three proved they could work together in an off-nominal situation to problem solve and quickly make a decision that places the safety of the crew above the objective of the EVA. Lastly, it allowed us to demonstrate our contingency plan for returning to the hab if one of the rovers breaks down since one rover had to remain parked while all crew returned to the hab. The crew engineer extended their EVA in order to service the ATVs and Rovers that we used during the day.